GUEST POST - An Awesome Japanese Korokke Recipe to Get Your Fix of Japanese Food! An Awesome Japanese Korokke Recipe to Get Your Fix of Japanese Food! When I went to Japan, I was amazed at the many types of food they had available. Not only did they have the delicious tempura and sushi, but they even had small edibles that kept me filled up while I kept walking around. One of my favorites? The Japanese Korokke! This delicious spotty snack isn't just for eating alone when squeamish after a whole day of walking, but it also works as a side with dishes, making it one of my ultimate favorites! After all, who doesn't like putting a twist on the plain potatoes? So read on as I show you the best way to make the Japanese Korokke, may it be a snack or a side for your dinner with family! A Japanese Korokke is a croquette, a round fried ball with minced meat or vegetables (like potatoes!) inside it. It's then encased in breadcrumbs and deep-fried to golden perfection. With a crunchy exterior and creamy, chewy texture inside, your loved ones will grow addictive to this recipe! This recipe makes 16 croquettes. 1. Cook the four eggs (hard-boiled) and chop until minced. 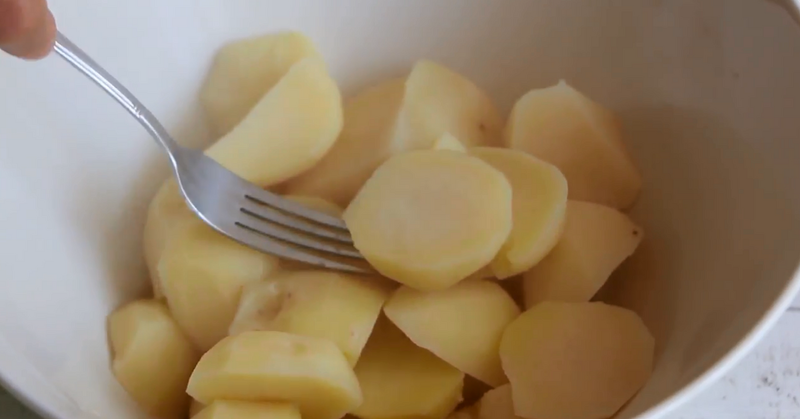 After, peel and cut the potatoes into medium chunks, then boiling it until they start to soften. 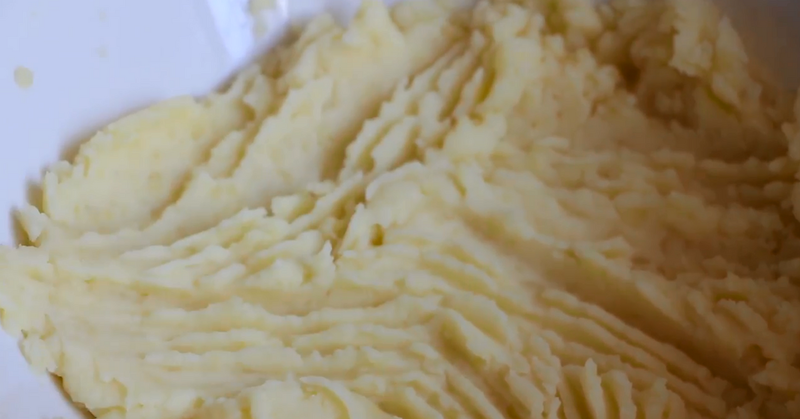 Drain the potatoes and mash them while it's still hot. 2. 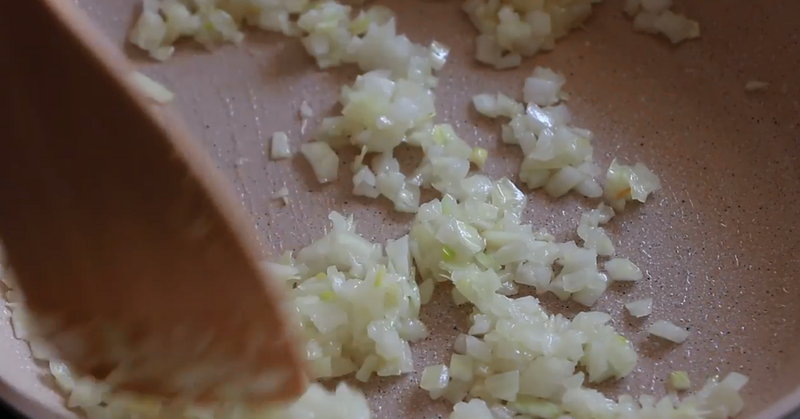 Sautee the onions with butter until it's soft. Add the meat mixture and cook all together until the meat has browned. Season it with the salt, pepper, and nutmeg. 3. Mix the hard-boiled eggs and cooked meat with onions with the mashed potato mixture. 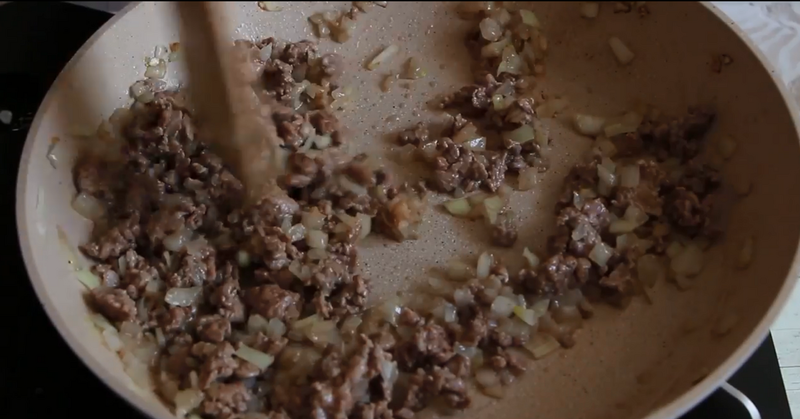 Flatten the mixture in the pot and divide it into 16 equal portions, making them flat and oval-shaped patties. 4. 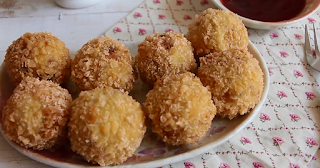 Coat each croquette with flour, then dip it in egg and coat again with bread crumbs. Fry them in a pan filled with vegetable oil at 340 degrees Fahrenheit until they are golden brown. 5. Serve and enjoy with your favourite sauces! Wondering how to make your Japanese Korokke even better? Then here are some tips you should follow for a better outcome! Avoid overcrowding the pan while frying the Korokke. What I do is add three to four at a time in the pan and wait until they begin to brown and float. That's when I know that it's perfectly crunchy and ready to eat. Avoid leaving it in the pan for too long, or it will burn! It's best to get it once it's cooked correctly and let it cool. If you're wondering what matches with the Korokke, then I suggest that you pair it with delicious tonkatsu sauce. If your kids are slightly picky, go for the usual ketchup and mayonnaise, which is delicious! Want a good side to complement the Korokke? Then garnish it with vegetables of your choice. I love making yasai itame to match with the Korokke! The boiled eggs are a great addition, though not necessary. If you are allergic to eggs, then feel free to omit them. To have a better dip for the bread crumbs, I suggest that you substitute it with ready-made egg substitute. When it comes to making your own Japanese Jorokke, then don't be intimidated by the recipe! You'll be surprised that something from the Japanese cuisine is straightforward to do and will have you drool with delight. 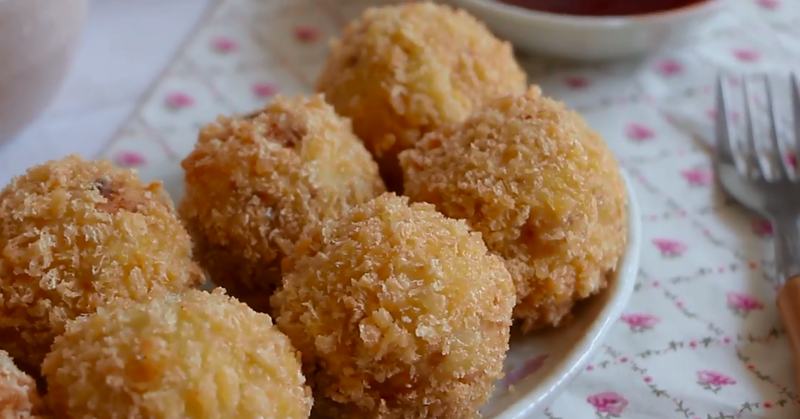 My kids love the croquettes, and it's something that I'll continue making in the long run. I hope that this recipe on Japanese Korokke helped you become more knowledgeable on what you need to do when making this yummy fried potato snack. And if you're a meat lover like me, pair it with shrimp tempura or chicken teriyaki! If you've got any questions or would like to share tips on how to make Japanese Korokke, then comment down below. I would love to hear why you have to think.